​Celebrations - Cards, Gifts, Yankee Candles, Willow Tree Ornaments, Jewellery, Disney Ornaments, Balloons, Party Supplies and much much more. 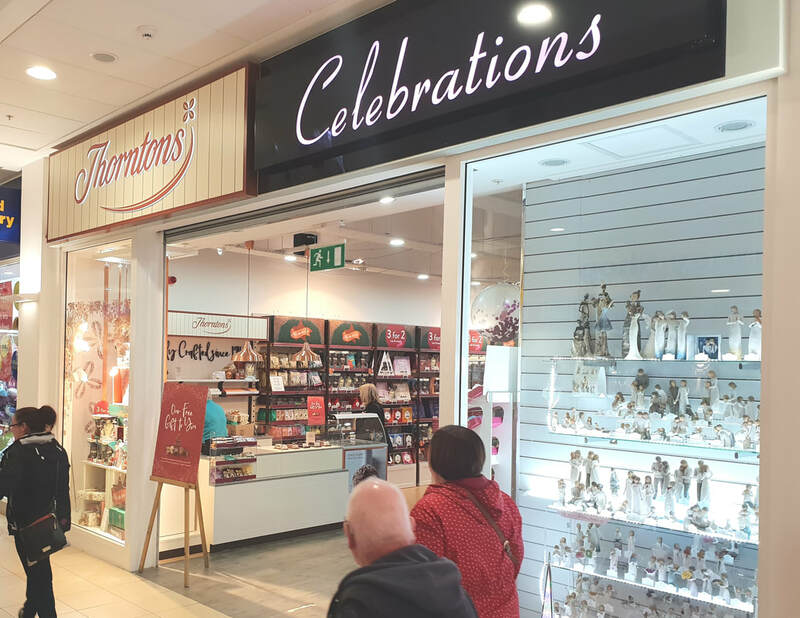 Thorntons - Since 1911, Thorntons have been providing the nation with luxury chocolates. Chocoholics across the UK flock to sample our extensive range of succulent treats. Choose from our milk and dark range, chic continental truffles, or zingy dessert style. And if you’re buying a present, we’ve got a whole host of great gifts.